Last week, the Pepperdine School of Public Policy gathered an eclectic crew of economists (including your fearless blogger) and high-tech entrepreneurs to discuss tech policy over dinner in Silicon Valley. Among the entrepreneurs were startups like mobile-payment company Ribbon, voice-recognition-software maker Promptu, and mobile-platform provider Appallicious, as well as established players like portable-device maker Lab126 (think Kindle). These entrepreneurs shared stories about spontaneous collaborations being struck over morning coffee at University Cafe. 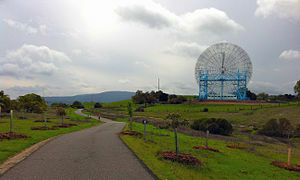 (Note to joggers: After taking out University Avenue on day one of your trip, make sure to hit the Dish near Stanford on day two.) To succeed here, one needed to tap into this vibe. Unlike the keep-your-head-down mentality of Washingtonians, strangers in Silicon Valley are inclined to interact based on a common mission to design the next great thing. After being plied with a local Cabernet (or three), and without any prior warning, the economists were asked a difficult question: What role, if any, does tech policy have in promoting startups like the ones gathered around the table? To understand what a pro-entrepreneur policy might look like, one must first understand what it means to be a tech startup. These hyper-caffeinated folks think of themselves as “great disrupters,” tearing down the establishment and building back the world in their vision. It is no accident that one of the invited economists was writing a book titled Big Bang Disruption, a preview of which appeared recently in Harvard Business Review. I presume I was invited because my recent book grapples with communications policy—either that or my charm. In any event, disruption and how to promote it quickly became our focal point. The entrepreneurs treat great disrupters like San Francisco-based Uber as demigods; there is no higher status in Silicon Valley. Uber has revolutionized taxi service by offering higher quality (there is no such thing as a smelly or noisy Uber sedan), and by fostering trust in a driver (through a rating system). One can’t help rooting for these great disrupters. Indeed, it is the American way. But is there any role for government in promoting their efforts? Not only did Uber invent a better mousetrap, but its success also depended on its ability to rally its customers to oppose regulations that sought to protect incumbents. Local regulators like the D.C. Taxi Commission did everything they could to thwart Uber, including most recently seeking a requirement that Uber share ride data with the Commission for analysis and planning purposes. What Uber needed was not a leg up, but more of an end to the monopoly protection afforded to its rivals. The same frictions delayed telco entry into video for years, as captured municipalities sought to protect incumbent cable operators—for example, by requiring entrants to provide services (such as the purchase of street lights or the provision of additional parking lots for public libraries) unrelated to the provision of video. In the 1950s, the FCC was so beholden to the old Bell System that it was willing to argue that attachments like the Hush-a-Phone presented a physical danger to Bell’s repairmen. Once the underbelly of regulation comes into focus, the appropriate policy for promoting tech startups starts to take form: Rather than looking for ways to subsidize the next big disruption—market forces have a way of inducing these things naturally—policymakers should look for ways to restrain the authority of regulators, who often serve the whims of incumbents or special interests. When it was my turn to answer the policy question, I took a swig of wine and lamely uttered something like: “Economics doesn’t provide much of a justification for an affirmative role of government in selecting the next big thing. The only possible exception is for basic research, which generates ‘spillovers’ or benefits to third parties that might not be fully captured by the entrepreneur, causing the market to generate too little investment there.” One wonders why economists don’t get invited back to cocktail parties! Driving to the airport, I thought of the “right” answer to the policy question, and how I could have used their demigod (Uber) as an example of how regulation can often be less than helpful. Hopefully, it’s not too late to start that conversation. Let’s have it in a café.